Ron is an admiralty lawyer who has developed particular expertise in all phases of the yacht industry including "offshore deliveries" for U.S. buyers of yachts built in Canada. Yachts built in Canada for export are exempt from Canadian taxes, and many states in the U.S. have sales tax exemptions if the yacht is out of the country for a certain period of time. See Ron for details. Specializing in the legal and contract needs of shipowners. Cliff Kornfield specializes in protecting shipowners in all legal matters. Cliff has particular expertise in insurance coverage issues, crew claims and cargo disputes.Cliff speaks Spanish and has contacts throughout Latin America. Ships Agents and Brokers specializing in all related services. The internet's most comprehensive resource for Coast Guard documentation, boat registration, and foreign registry in "do it yourself kit form. A complete gathering of affordable services, forms, research tools, information, guidelines, and resources. Serving vessel owners, buyers, sellers, marine lenders, yacht brokers, boat dealers, and attorneys. Specializing in commercial workboat and fisheries vessel documentation and transfer. One of the oldest and most trusted firms specializing in this service. Kim can be reached at (206) 682-7013. Vessel watchman, emergency repairs and diving inspections. Captain Mcdonald has many years in Alaska serving the tug and barge, fishing and shipping industries. Northwest Yacht Care and Delivery offers professional yacht delivery by USCG licensed captains. We care for your vessel as if it were our own, taking the time to pay attention to every detail to ensure a smooth and trouble-free delivery. Outstanding communication, expert seamanship and up-to-date technical knowledge are the keys to satisfied customers.Our clients are our best form of advertising. Ship and commercial vessel surveyor for statutory purposes, insurance, pre-purchase, onoff charter. Also has proprietary SOLAS training program, ISM and ship Seurity Plan. Also qualified port captain and designated personashore. Global Fire & Safety, Inc. Founded in 1985, Global Fire & Safety (Incorporated in California 1988) has grown to become the leading provider of, marine, industrial, & commercial, fire protection system maintenance and certification services based in California. Over the years we have expanded our service offering to meet our client’s needs and to accommodate new industry standards & global regulatory requirements. We have a diverse portfolio of customers with the maritime industry accounting for the majority with major industrial and commercial entities completing the profile. Our experienced team of engineers and field technicians ensure that Global Fire and Safety can offer the most effective and practical fire detection and prevention solutions available. In addition to their experience, our engineers and technicians are NICET certified. TUG AND YACHT FIRE & SAFETY SERVICES, INC. If a fire should happen, are you prepared to put it out? safety equipment for the protection of your investment. Please visit the website to calculate your voyage. Commercial Marine Service, Inc. is a highly competent general marine surveying firm, servicing the interests of owners, operators, underwriters and financial institutions by providing accurate critical reports on specified marine equipment and operations. 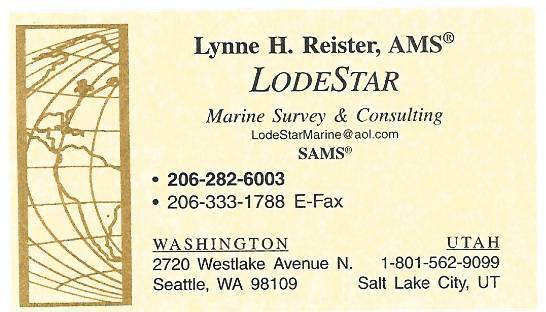 Commercial Marine Service, Inc. is conveniently located in Lynnwood, just north of Seattle, WA. This gives our personnel easy access to the Pacific Northwest waterfront and the world from Sea-Tac airport.